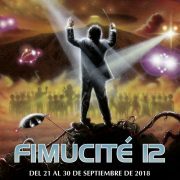 Today Friday September 23rd, Fimucité festival starts, and it does with a special concert dedicated to maestro Lalo Schifrin. A few days ago, SoundTrackFest had the opportunity to interview Lalo Schifrin in his home in Los Angeles, and talk to him about his life, his career and his ongoing projects. 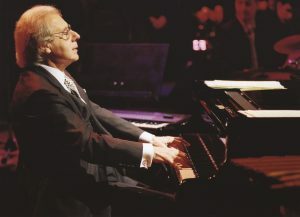 As you will see throughout this interview, with 84 years, Lalo Schifrin is worthy of the most enormous admiration, and why not, some envy also, as it is a pleasure to see how the spark, the enthusiasm and the vitality of this great pianist, conductor, composer and jazz musician, has not diminished over time. Just the opposite, it has increased, as did his curiosity, his desire to learn, and his desire to continue embarking on new projects. 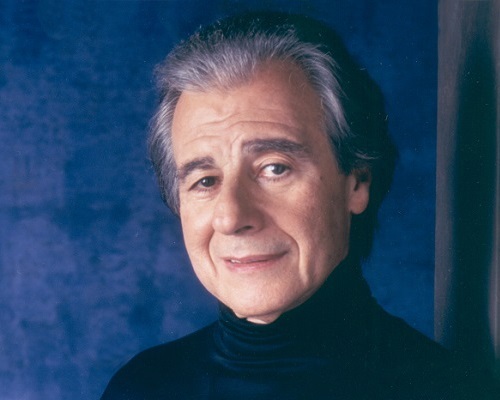 But enough talking and let’s get to the point, with this long but interesting interview, that great Lalo Schifrin had the kindness to grant exclusively to SoundTrackFest. Hello Mr. Schifrin, we know you are a busy person, so first I would like to thank you for very much your time and for attending SoundTrackFest. No need to thank me. 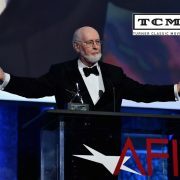 I like helping to spread the word of film music and music in general, and especially in Spain, a place I love very much. I’ve been there many times. I have conducted orchestras everywhere; I was in Madrid, I was in Barcelona and in many other places. Thank you very much. 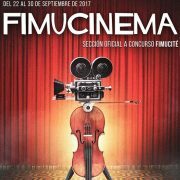 Talking about Spain, a film music festival begins soon in the Canary Islands, in Tenerife, called Fimucité, that is having its tenth anniversary. 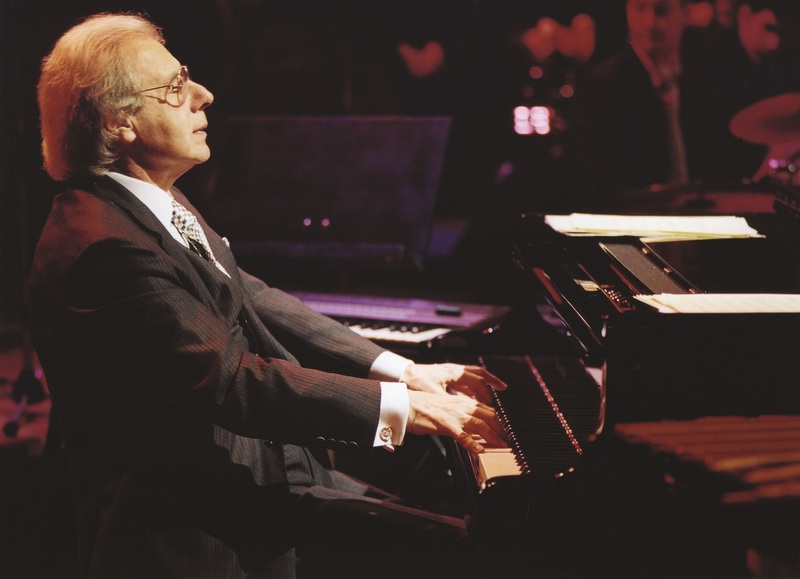 At the festival, a jazz concert will be performed as a tribute to you, under the title “Lalo Schifrin’s Jazz Goes to Hollywood”. What do you think about this? Yes, yes, I know. In fact, not only I know it, but they asked me to adapt my film music for a Jazz orchestra. It is an honor to be present there with my music. Let’s start from the beginning. Tell us about your first steps in your native Argentina, and how is your approach to music. My father was the concertmaster of the Buenos Aires Philharmonic, called that way because the first violin in a symphony orchestra is perhaps the most important musician. It was not easy for him. Well, it’s not easy for anyone, because you have to take a test, an audition to get in, and in his case he had a jury of three conductors: Arturo Toscaninni, Victor de Sabata from Italy and the maestro Heitor Villa-lobos from Brazil. Now, when my father took the exam, he entered directly as first violin, and that is difficult, very difficult. So it was him who began to get me into the world of music. When I was 5, I started studying piano with a friend of him. My father also played the piano. 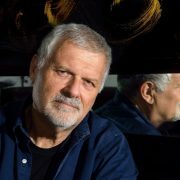 He had a chamber orchestra, they played classical music, and the pianist of that orchestra was my first piano teacher, Enrique Barenboim, Daniel Barenboim‘s father. That was my first piano teacher. You were lucky to have as your first piano teacher someone as talented and that has had such a brilliant career as Maestro Barenboim, right? Well, my whole life was luck (laughs). You know who Jorge Luis Borges is, right? One of the things he said is that luck and destiny are synonymous. Luck and destiny. And that applies to me. I understand it very well, as I was lucky and also my fate/destiny made me the musician I am today. That’s a good way to see life! And speaking of your life, being young, you left Argentina and traveled to Paris. I guess that was an experience that changed you completely. Yes, because, when I was 16 I started to like Jazz very much. Jazz is the classical music of North America. I was interested in the nature of its harmony. Jazz had a different harmony than the classical music I knew at that time. But not now, as jazz and modern classical music are very similar. Well, when I finished high school in Buenos Aires, my father didn’t want me to be a musician; he did not want me to continue the music career, because he knew how difficult it was to become something or someone there. So even if it sounds strong, he forbade me to continue studying music. He wanted me to get a diploma, as a lawyer or a doctor. I resisted, but yet I had to go to law school. And there I did 4 years. It was 6 years in total to get the diploma, but I only did 4. At the same time I was in college, without my father knowing, I began to study composition with one of the greatest Argentinian teachers, Juan Carlos Paz, who had studied with Schoenberg in Vienna and returned to Argentina, and was composing music that was too modern for the public at that time. 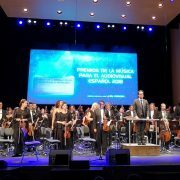 Juan Carlos Paz was amazing and a great composer. I have scores and books he wrote that are fabulous. So, he was my teacher and gave me music lessons in a cafe in downtown Buenos Aires. What a curious place to receive music lessons, outside a conservatory, right? He said that you have to study composition away from the piano; you need to have it all in your head and listen to the music within, but without using the piano. As if the piano was some kind of crutch, and you can’t have crutches to walk. Then, without my parents knowing, I went to the consulate and after a week, I received a sealed envelope, filled with forms and questionnaires, plus a very difficult written exam. I told to Juan Carlos Paz, my teacher, “Do you think I have a chance? ” And he replied” You have nothing to lose“. So I went and took the exam, and a week later, I was watching the mailbox, because I did not want my parents to know yet, and that was when I got an envelope that said “Congratulations, you have been accepted into the National Conservatory of Music of Paris and your photo and name will be displayed in the lobby of the conservatory for a week.” That’s not something they did just with me, they did it with everybody, just as they did at the time with Ravel or Debussy.